Bologna was for a week a meeting theater for new trends in the ceramic and bathroom furnishings sector, at CERSAIE, an unmissable annual event and Ceramica Meditteranea was there with its “ecostand”. 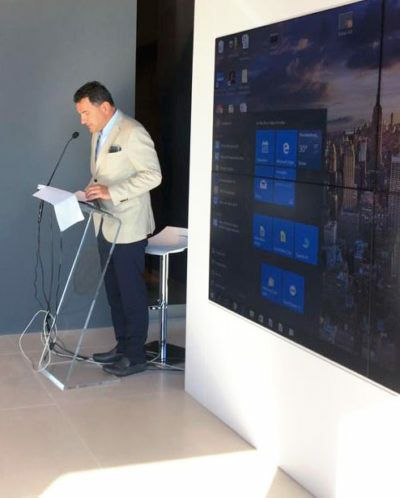 The thirty-sixth edition of CERSAIE at Bologna Fiere it lasted five days in which international companies could interface with architects, designers or retailers to preview the new trends in the ceramic and bathroom sector. 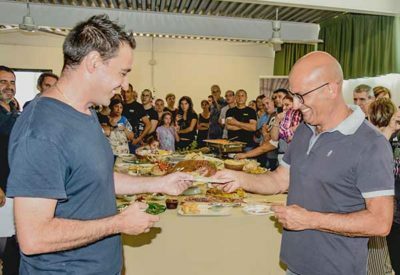 The number of visitors exceeded 112,000 admissions, an increase compared to the previous year, with a growth in visitors from abroad. 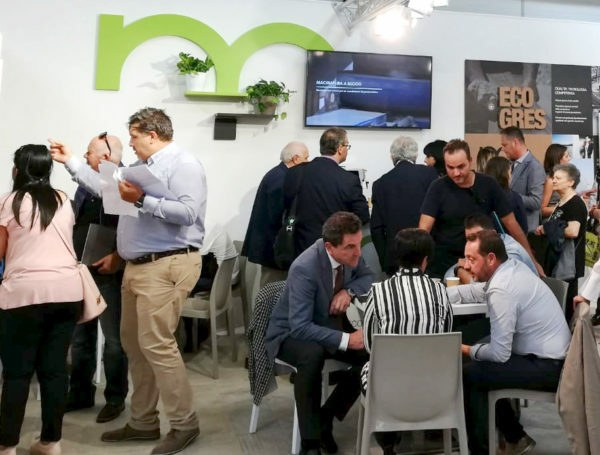 Ceramica Mediterranea also this year was at the fair with an essential and sustainable, because it has always been attentive to the environment using Km0 raw materials of the Sardinian territory, drying mill to minimize water waste and using renewable energy sources. Sustainability is one of the fundamental values ​​of the company that was confirmed in the presentation of its stand furnished with biodegradable tableware and eco-friendly gadgets. The Mediterranea tiles are fine porcelain with graphic printed with digital technology, which simulates 3D effects, an example is the new Corte series available in three sizes: 26.1×26.1, 26.1×52,2 and 52,2×52,2. 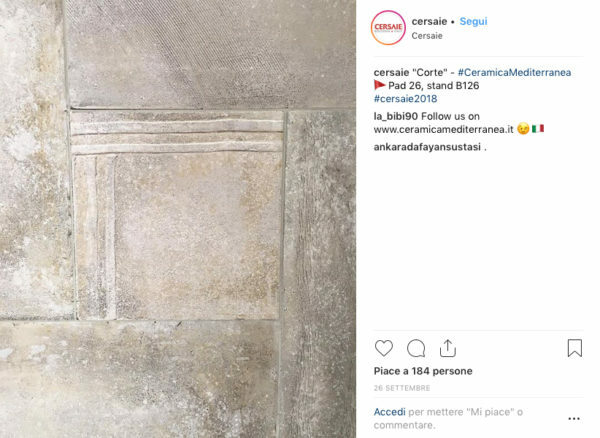 The esthetics was appreciate also in the page official of CERSAIE, the series looks in a warm color that combines beige tones with gray shades. The Apuano series, which takes its name from the Quarzite that inspired it, was very appreciated, in the 30.2×60.4 format perfect for indoor and outdoor it is available in both R10 and R11 versions, in four colors Multicolor, Beige , Light Grey and Dark Grey can meet the needs of customers from all over the world. The Barrique and Castello woods are very impressive, characterized by a soft structure (R9) that has been appreciated for its naturalness that makes visitors doubt that they was fine porcelain tiles. 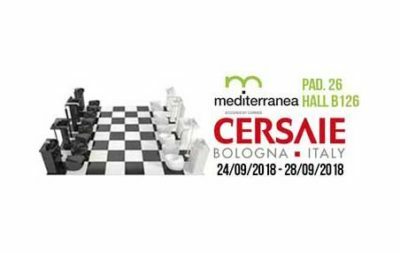 For Mediterranea the Cersaie 2018 was a great success due to the big number of visitors at the stand, but above all because of the appreciation they showed about the new products.